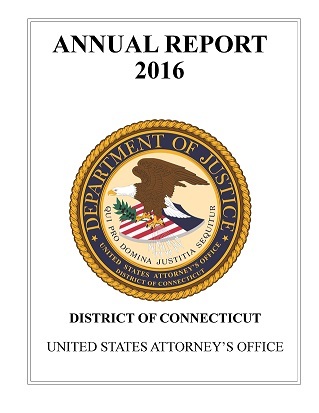 John H. Durham, United States Attorney for the District of Connecticut, and Brian C. Turner, Special Agent in Charge of the New Haven Division of the Federal Bureau of Investigation, today announced that, on October 11, 2018, a federal grand jury in New Haven returned an indictment charging CHRISTOPHER J. SAKELARAKIS, 34, of Milford, with fraud and money laundering offenses stemming from an investment scheme that defrauded an elderly victim of $60,000. SAKELARAKIS was arrested this morning. He appeared before U.S. Magistrate Judge Sarah A.L. Merriam in New Haven, entered a plea of not guilty to the charges, and was released on a $60,000 bond. As alleged in the indictment, SAKELARAKIS held himself out as having the necessary qualifications, experience and abilities to provide investment services to a victim-investor. SAKELARAKIS falsely represented to the victim-investor that he had a number of investment clients, that he was making a substantial profit including by day trading, and that he had a contact in an investment firm who provided him with stock tips. SAKELARAKIS also represented that he would invest in stocks, options and other financial instruments on behalf of the victim-investor and that his compensation would be a commission on 10 percent of the profits. It is further alleged that, in October 2017, the victim-investor provided SAKELARAKIS with a $60,000 check. Within days after receiving and depositing the check, SAKELARAKIS withdrew $30,000 in cash, and then made additional cash withdrawals, including several large withdrawals at ATMs. SAKELARAKIS spent a portion of the funds at stores such as Armani Exchange, Foot Locker, Macy’s and Gamestop. In October and November 2017, SAKELARAKIS made several false representations in e-mails to the victim-investor relating to the status of the “investments” and the victim-investor’s account. No funds were ever returned to the victim-investor. The indictment charges SAKELARAKIS with five counts of wire fraud and three counts of securities fraud, offenses that carry a maximum term of imprisonment of 20 years on each count. The indictment also charges SAKELARAKIS with one count of money laundering, an offense that carries a maximum term of imprisonment of 10 years. This matter is being investigated by the Federal Bureau of Investigation, Wilton Police Department and Greenwich Police Department. The case is being prosecuted by Assistant U.S. Attorney Michael S. McGarry. U.S. Attorney Durham noted that this case has been brought as part of the Justice Department’s Elder Justice Initiative (EJI). To learn more about EJI, please visit www.justice.gov/elderjustice.